hummel and its Japaese partner SSK Corporation have just announced that we have signed a sponsorship deal with Charlton Athletic FC and Denmark NT winger Dennis Rommedahl. Click the Read More link below for more pics and info. 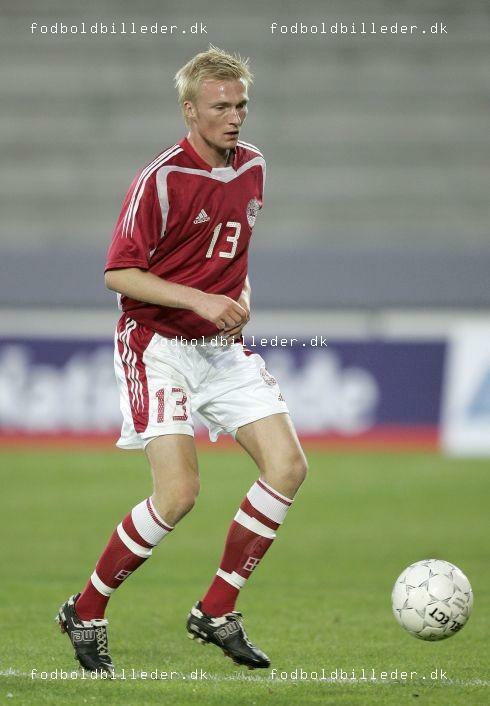 This is a very special deal for both hummel and Rommedahl, as Rommedahl has been a fan of hummel boots for a long time and have always worn hummel in matches for both Denmark NT and Charlton, even without a sponsorship. This sponsorship deal will now help us at hummel work even closer with Rommedahl in design, development and testing to further continue our development of top boots. 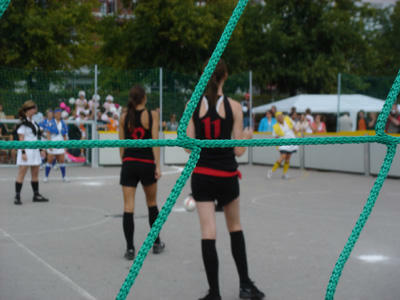 As promised, more pics from the hummel/Eurowoman womens street football tournament. Congratulations as well to Julie Werdelin, winner of the hummel Fighter of the Year trophy, who will in addition to some other great prizes be one of the first to recieve a production pair of 2006 gold hummel 6.2 Concept FG football boots! Click Read More for additional pics. 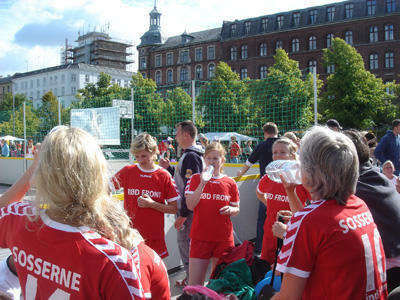 hummel / Eurowoman womens street football tournament PICS! 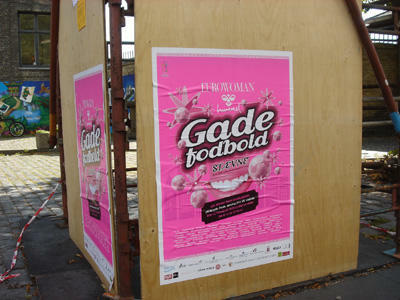 Just returned from a beautiful weekend in CPH (Copenhagen). The weather on sunday was great (especially for august in Denmark) with sun and good tempertaure until early evening brought a little bit of rain. 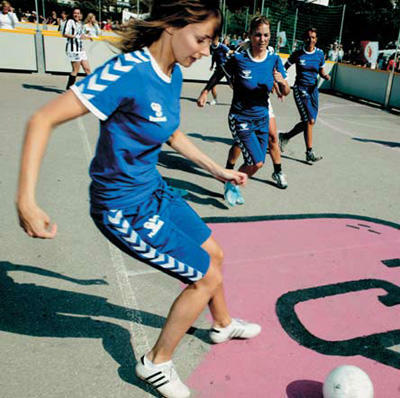 Overall, the hummel/Eurowoman 2005 womens street football tournament was an overwhelming success: excellent attendance, some great skills, and a fun event for both players and spectators. 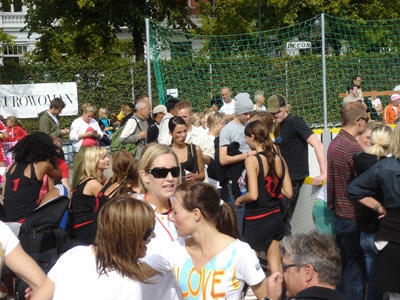 Click the Read More link below for more pics of the tournament. More pics coming tomorrow. 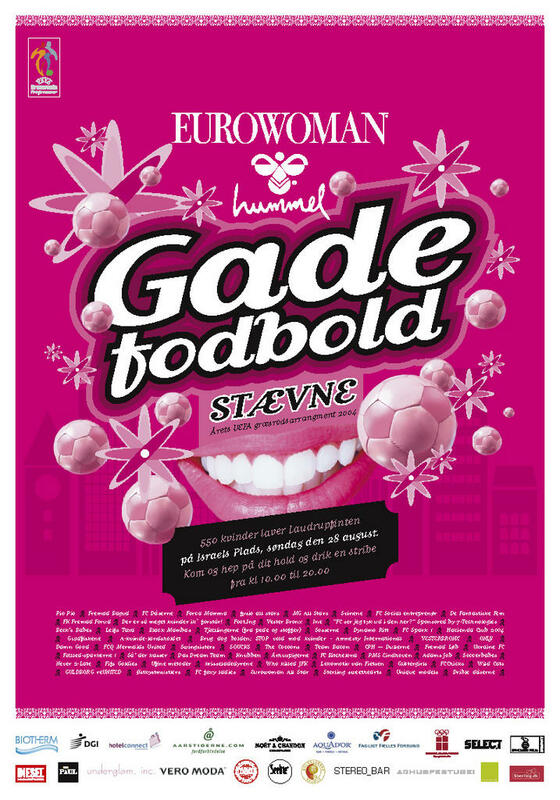 This weekend if you are in Copenhagen, Denmark be sure to check out the Eurowoman / hummel fashion women's Gade Fodbold (Street Football)tournament. 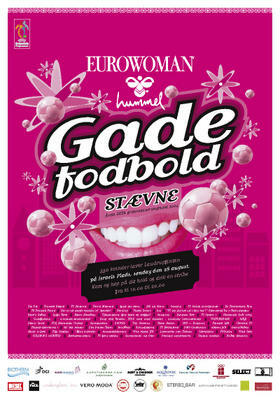 With over 550 women participating (and i'm sure you've heard the rep of the scandinavian women), the event is sure be a must see. Click the Read More link below for more info and pics. 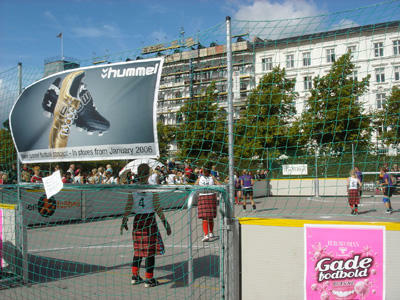 hummel is a top sponsor and will be presenting a special trophy for the Figher of the Year to the top competitive woman in the tournament. 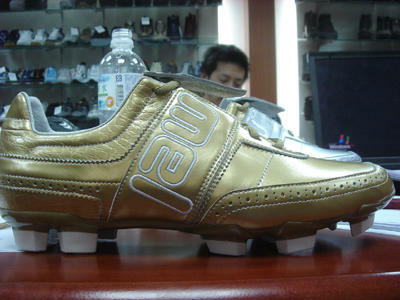 The tropy has been specially made to feature the new Gold 6.2 Concept FG 2006 football boot and the winner will be one of the first in the world to recieve a limited production model in her size. Click image for larger poster pic. Once the corrections to the first model and technical drawing have been made, the mold maker in asia makes a revised tech drawing and model for my review. Click the Read More link below for more pics and final correction to the 7.1 outsole model before the sample mold is made. 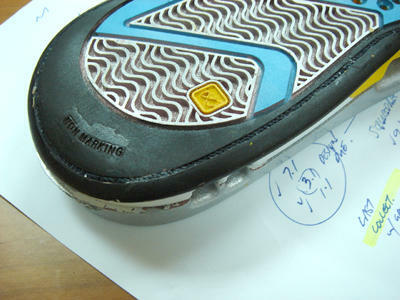 Overall, the second model much better represents the final outsole design. The width and proportion of the outsole bottom has been changed to be more slim at the waist, and in the heel area, while maximizing surface contact area for grip. 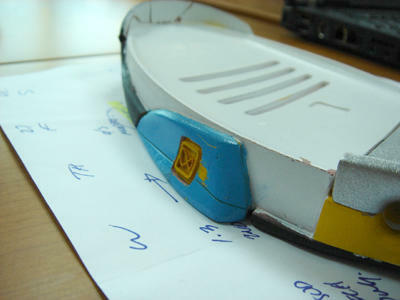 you can see the difference in shape compared to the first model below. 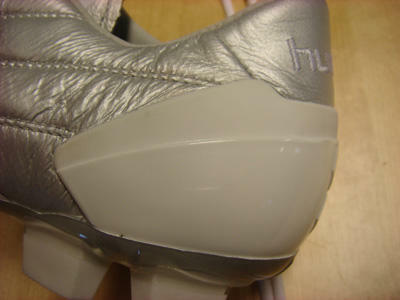 Here hou can clearly see the 3Di cushioning system. This cushioning system is designed to allow displacement or material into the holes from the top and bottom midsole to allow for good comfort and shock absorption. Unlike an air bag or other insert that uses a pressurized gas or liquid, this system cannot pop or leak under the extreme pressure of court performance of some very big players. 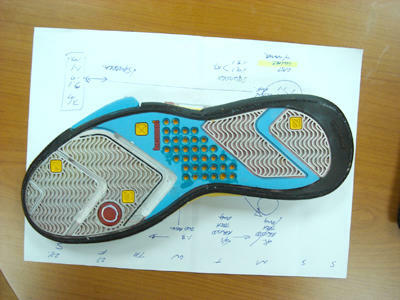 On the forefoot lateral side, there is an outrigger feature built into the rubber outsole. This outrigger helps give a physical feedback to the player who can then better control their movement in fast side-to-side lateral position changes. The effect actually is more psychological and cognitive than physical (its not big enough to stop you from rolling over), but works like a cat's whiskers help a cat to be aware of their location. Corrected modified herringbone tread pattern for good grip on a court surface. 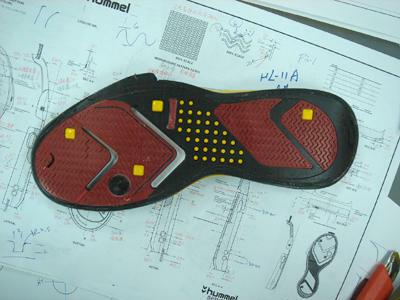 The waist features an airflow system created by the physical construction of the two CM EVA midsole parts. 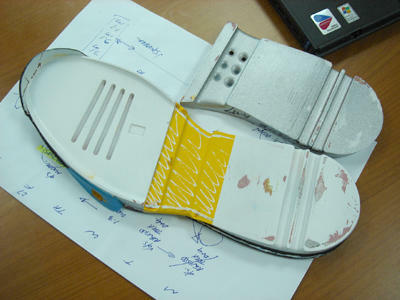 working through holes in the top midsole and a channel between the two parts, in combination with a special upper construction, the shoe is better allowed to breathe for better performance and comfort. By request (i have recieved LOTS of emails about this boot), this post will show some more pics and give some specs as promised on the boots. Click the Read More link below for more. TPU injected asymmetrical frame provide reinforcement and support around the foot. 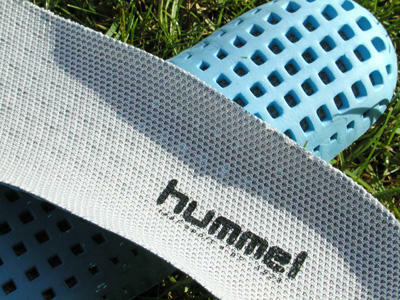 This helps control foot movement and prevent injury. 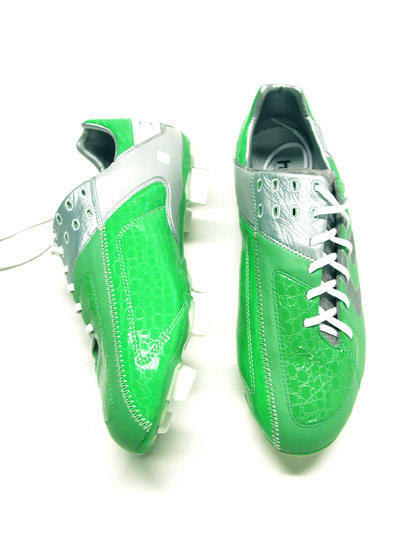 As mentioned, the upper is a comination of Pittards WR Premiership goat skin leather and SuperMicrofibre synthetic. 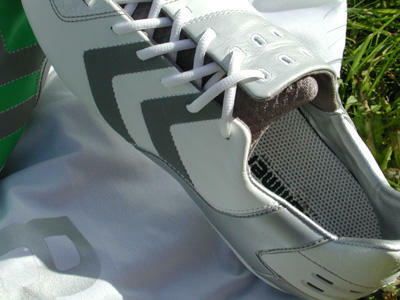 The vamp and lateral side use goat leather for ultimate softness and ball control. 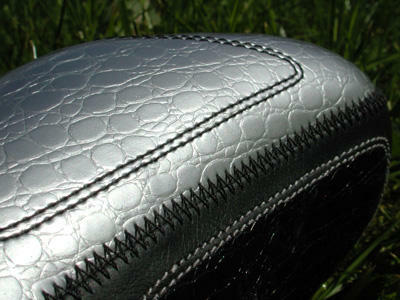 The medial side uses a SuperMicrofibre like the 6.2 Concept. 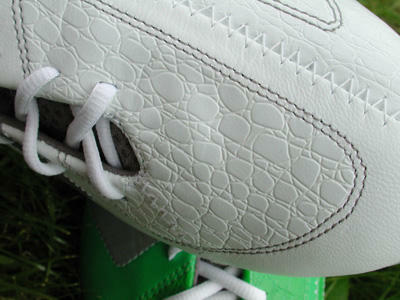 This material also has great performance in both wet and dry, with a grippy finish and croc emboss. 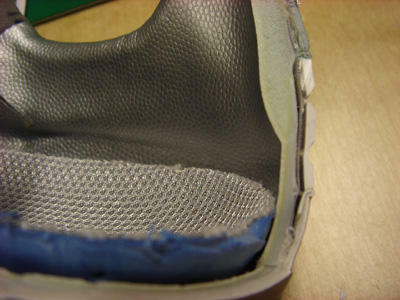 The construction of the 8.2 Concept FG has a unique sock fit inner lining to help provide a snug fit and comfort during intensive performance. 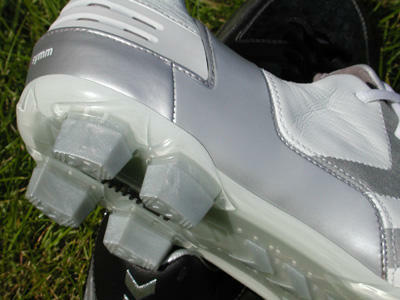 The 8.2 Concept FG features our top FG traction outsole with a new transparent treatment. 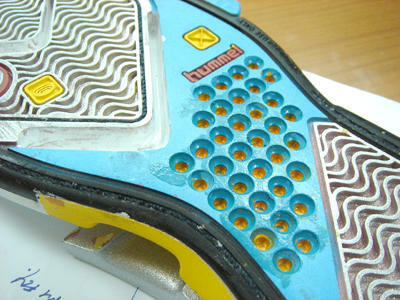 This treatment highlights the internal stability pegs that are integral in the co-molding of the stud and base elements. 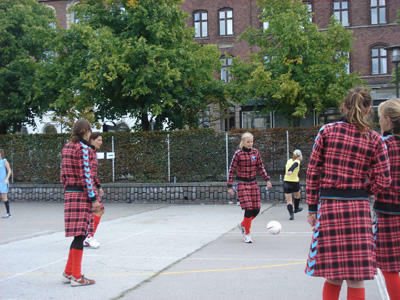 Cm EVA anatomical aerated sockliner. Excellent cushioning, lightweight and very breathable. The most innovative feature of the 8.2 Concept is the dynamic customizable lacing system. This system is designed to allow a player to adjust the fit and lacing of the boot for the best fit, comfort, support and performance. Working together with the TPU support frame, the lacing allow a player to create a 3D fit around the foot for inner arch support. More pics and info to come soon! 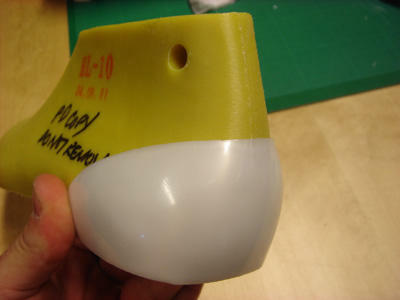 Internal premolded heel counter fit to the last. 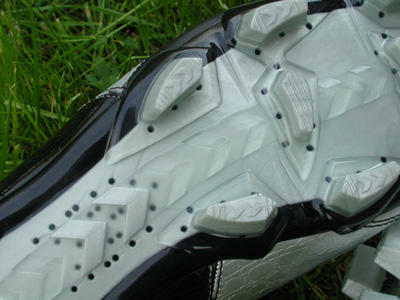 Over on the Soccerpulse forums there has been some questions about internal and external heel counters used in soccer shoes (and also other athletic shoes). here is some more info and pics. More pics and info after the Read More link below. 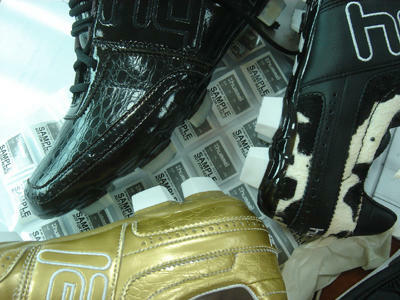 1. all shoes do have a heel counter or counter reinforcement. 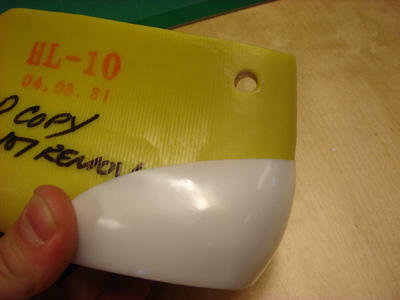 The good, hard ones, us a plastic, TR (thermoplastic resin) or nylon material premolded to fit the heel of last. As you point out not all reinforcements are equal however. 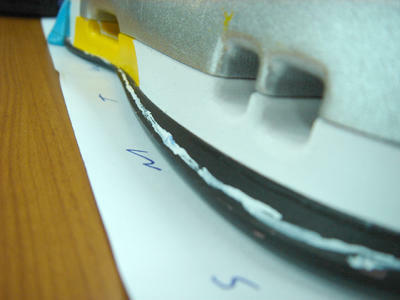 The onesyou mention that can "push in" have a cheaper and less stiff reinforcement- usually a type of "chemisheet". This is like a paper with a chemical in it that hardens when activated bny either heat or another chemical. 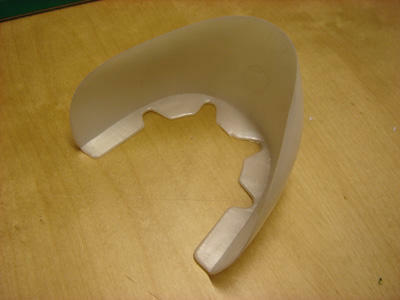 The important thing about a heel coutner is that it fits the heel of the last. 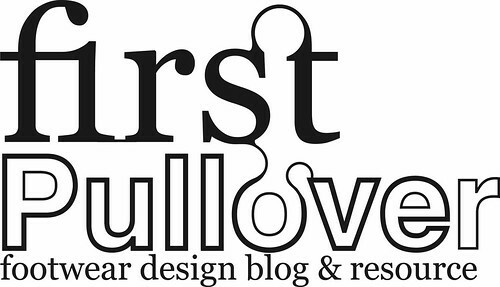 The purpose of heel counter is to provide support and ensure good fit. 2. 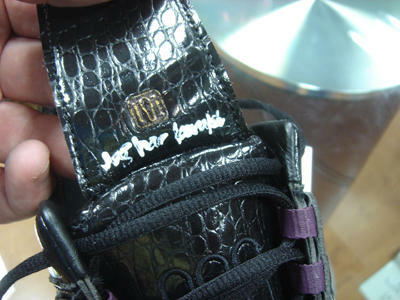 An external heel counter as Romeo mentioned does the same thing, but is on the outside of the heel. 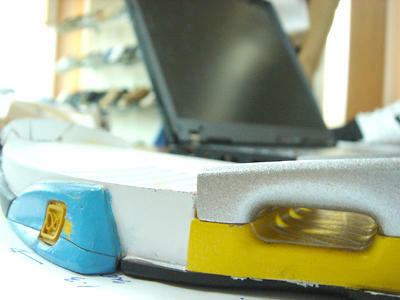 Usually it is a TPU material. Some details of the 8.2 Concept FG (pic below). more pics and info to come soon. 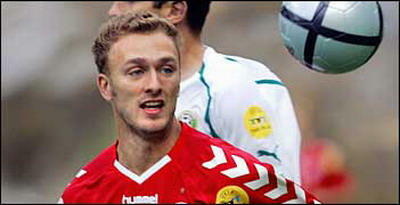 Steffen Kielstrup U21 DBU in 6.2 Concept FG Pony! Steffen Kielstrup (Viele BK) of the DBU U21 Denmark National team wore the 6.2 Concept FG in the match vs. England the other day. nice. back to the case study. After the first colorway sample, most of the major technical and construction issues have been taken care of, and the review gets down to the details, colors, materials, logos, etc. You can see in this pic, two of the changes that were made during the first colorway sample review - brouging added to the toecap, and embroidered hummel logo detail. 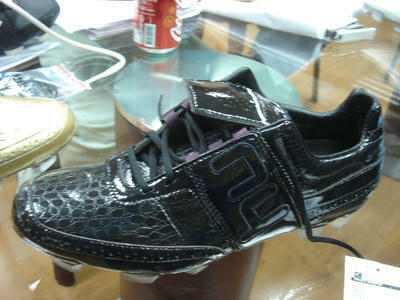 Here the tongue is shortened during this process to create a more streamlines shape and better present the embroidered hummel logo that goes across the shoe. 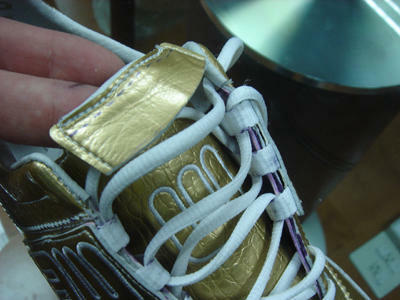 Here you can see the revised lacing system as discussed in the last sample phase. Under the tongue "Jeg har Karakter" artwork print is added, to build on the Danish Charater concept and add unique value.